We offer solutions to maximize efficiency of material handling systems and warehouse equipment. By using innovative design and planning to maximize productivity and operational efficiency, we help lower overall operating costs. As one of America’s fastest growing companies in 2016, we have the resources and experience to offer a variety of both new and used warehouse equipment at great prices. Our current inventory includes new and used pallet rack, cantilever systems, warehouse mezzanine, industrial shelving, pick modules, and conveyor systems that can be packaged and designed for your custom material storage needs. We also offer all associated components including wire deck, load beams, and columns for mezzanine systems to fit specific applications in your growing warehouse setup. Check out our online catalog and the products page for more information on our current stock of warehouse equipment solutions. 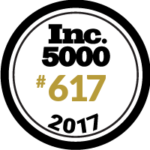 Culver Equipment has done it again and secured a position on the INC 5000 list for the second year in a row! We are a leading warehouse industry consultant providing expert planning and design services. Celebrating 20 years of service as a leading consultant and provider of warehouse equipment. We offer a large variety of unique solutions for material handling and storage. Our selection includes pallet racking (push back, rivet rack, drive-in, drive-thru), cantilever racking, wire shelving, warehouse storage rack, industrial shelving, and record storage systems. Solutions for companies looking to increase floor space without relocating. 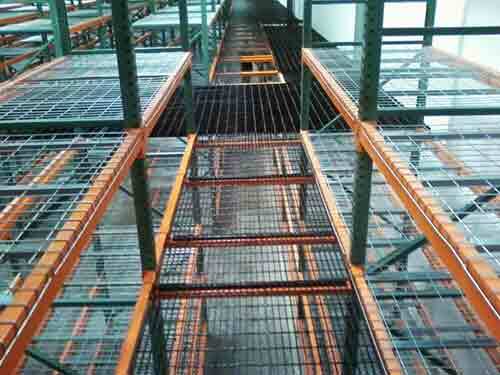 Warehouse mezzanines offer the ability to expand and keep costs low. We offer planning, design, installation and permits for complete mezzanine systems and professional consultation. We offer a range of material handling equipment including scales, material lifts, lift tables, modular offices, catwalk systems, and rolling ladders. Material lifts or Vertical Reciprocating Conveyors(VRC’s) are great for replacing heavy equipment used to lift materials to upper levels. Create a safer approach to lifting operations. 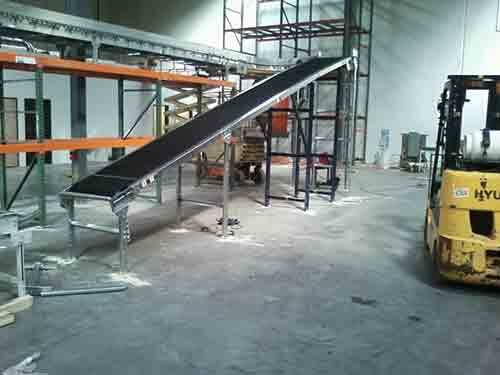 We offer both new and used conveyor systems to meet your material handling needs. We specialize in the planning and installation of both powered and non-powered warehouse conveyor systems. Check our product page for more information on specific types including gravity rollers, skate wheels, as well as expandable and flexible systems. We have a railroad access pit that we are not using anymore, we got quotes from several companies to fill in the pit and install racking, they were all around $60,000. 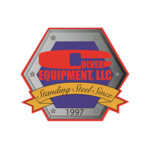 Culver came in and designed a pallet system that followed the contour of the pit and not only saved us around $45,000 and gave us 608 pallet positions, but also left us the option to go back to railcar shipments in the future. We needed a pallet rack system to store 3000 plus pallet positions of product. The equipment used to access the system was very narrow (65″), man-up lifts. We also wanted the option of converting the system to a non-maned fully automated system in the future. Culver installed system on Superflat floor with aid of laser level to maintain precise location of all components. This was great, so an intelligent computer system used in the future can have fixed coordinates. The system was completed in a timely manner and we are very pleased with the results.